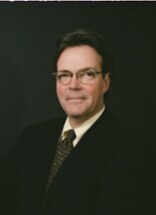 MICHAEL W. JONES is formerly Of Counsel with Wimberly Lawson Wright Daves & Jones, PLLC. He retired on April 15, 2019. His law practice included an emphasis in workers' compensation, general civil litigation, as well as insurance law. He received his Bachelor of Arts degree from Rockhurst College and his law degree from the University of Kansas. Michael was admitted to practice before the United States Supreme Court, United States District Court for the Middle and Western Districts of Tennessee, United States District Court of Kansas, as well as admitted to practice in Tennessee, Florida and Kansas. He maintains his memberships with the Nashville Bar Association, the Tennessee, Florida and Kansas Bar Associations, and the Mid-South Workers' Compensation Association. Rockhurst College, Kansas City, Mo.